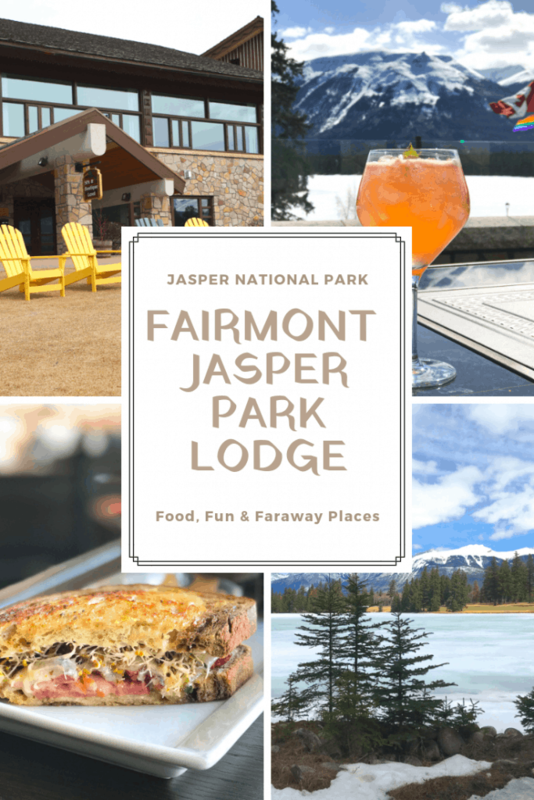 The Fairmont Jasper Park Lodge is the place to stay if you’re looking to experience luxury as well as the beauty of Jasper, Alberta. This was the final stop on our Rocky Mountaineer Train journey. Though I hated getting off the train, spending a couple of days at the Fairmont Jasper Park Lodge was pretty spectacular, too. 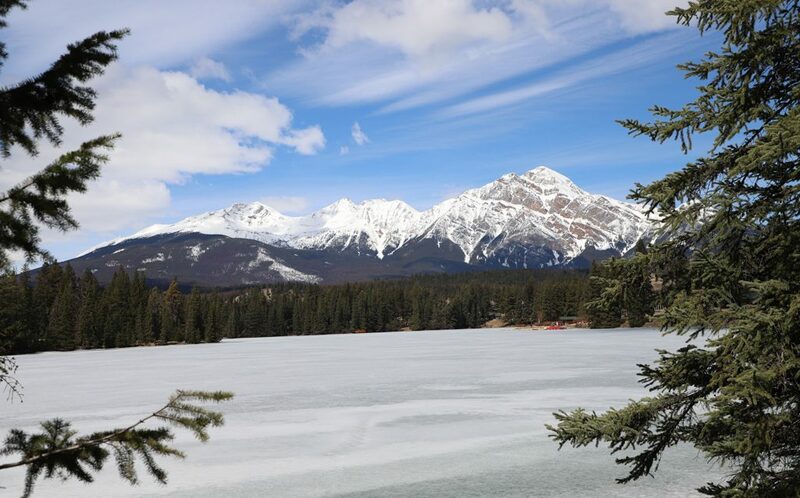 Alberta’s picturesque Jasper National Park welcomes visitors from all over the world. Many people visit to explore the beauty of the Canadian Rockies. There’s just nothing quite like this stunning Unesco World Heritage Site. 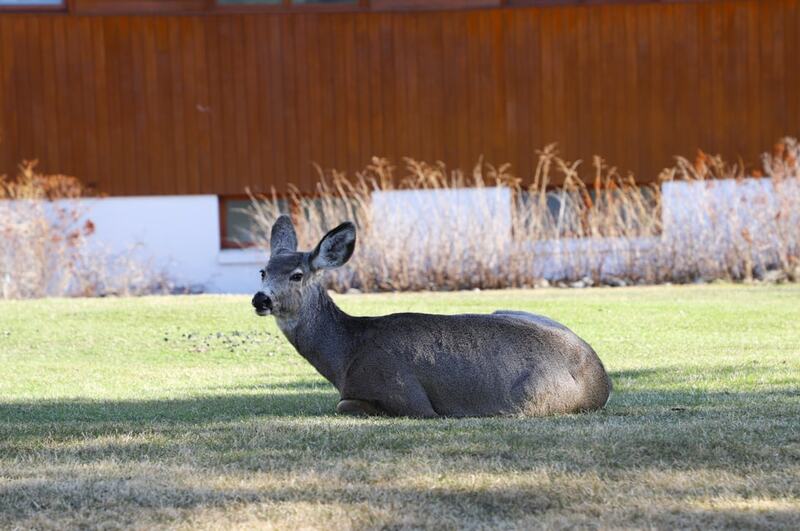 When they choose a place to stay, the choice is usually the Fairmont Jasper Park Lodge. 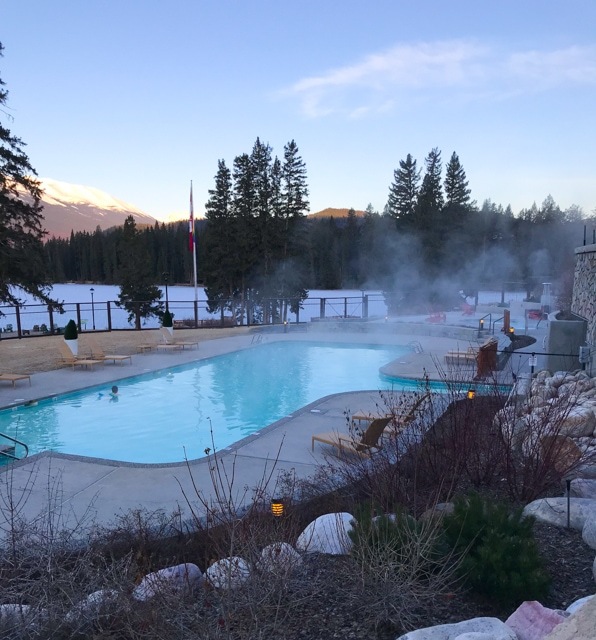 This iconic resort is situated on 700 acres of the Jasper National Park. Guests are surrounded by spectacular views and native wildlife. The pristine Lac Beauvert gently hugs the shores of this mountain resort. It makes for a beautiful walk in the morning! The Fairmont Jasper Park Lodge has just completed a multi-year renovation. 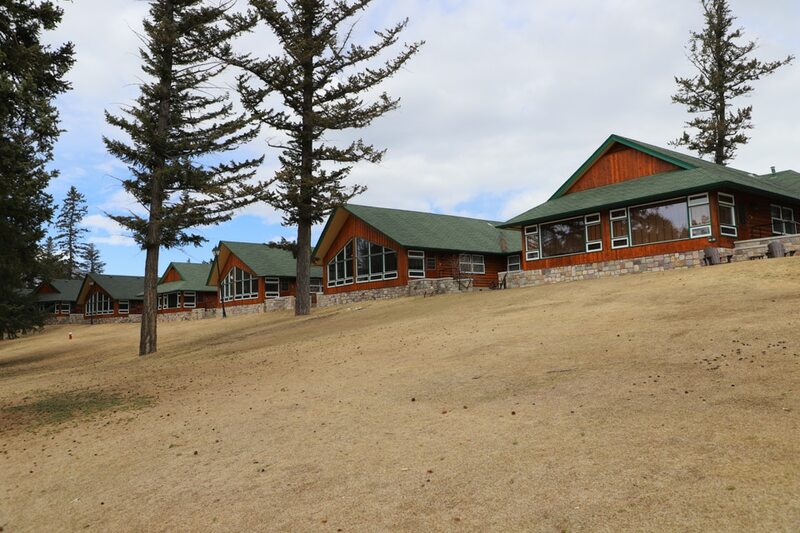 Every part of the property has been renovated from the landscaping to the guest cabins. The enhanced resort now provides even more luxury for their guests. The Fairmont is more than a luxury hotel. This resort is the perfect place for couples, families, or a friends getaway. They even welcome four-legged friends. The luxury lodging and exquisite service are only the beginning. You’ve heard me say this before – Fairmont’s amenities are second to none. There are plenty of opportunities to make this an unforgettable vacation. Families can enjoy special activities geared for them. Younger kids can eat free from the children’s menu at the restaurant. The Kid’s Club is packed with crayons, stuffed animals, and a chalkboard for use at the guest’s leisure. If parents want to spend an evening enjoying the food at one of the restaurants, the Concierge Desk will be happy to assist with babysitting services. Let’s face it, the kids would rather be watching a movie with popcorn than sitting at a dinner table for an elegant meal. The staff ensures that everyone has a wonderful time, including teenage members of the family. There really is something for everyone. 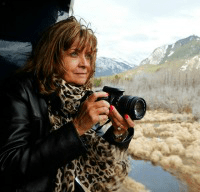 My husband was with me on Rocky Mountaineer, and it was a wonderful getaway. During our stay at the Jasper Park Lodge, we took long walks around the lake, had cocktails at the bar, and enjoyed some much-needed couple time. If our stay had been longer, I think we would have enjoyed the Neroli Blossom for Two massages or perhaps a swim in the heated pool. My husband was wishing it was warmer so we could have played golf on one of Canada’s premier courses! The Fairmont Spa allows guests to be pampered while surrounded by nature. The staff offers customized treatments to help guests relax after a long day on the slopes or golf course. Conde Nast has rated the Fairmont Spa as one of the top three spas in the country. The Spa offers many different treatments for both couples and single guests. Their signature massages can help to alleviate all the stress of the day. Body treatments include everything from full wraps or soothing body elixirs. The staff can even help with hair and makeup for those special events. The Fairmont Jasper has a few surprises for furry friends too. Pet-friendly amenities are available upon request. The resort provides treats, dog beds, water bowls, and waste bags for dogs. Pets cannot be left unsupervised in the room, but the staff can help guests with a pet sitter for the day or evening. The village of cedar cabins is connected by paths that wind through the property. 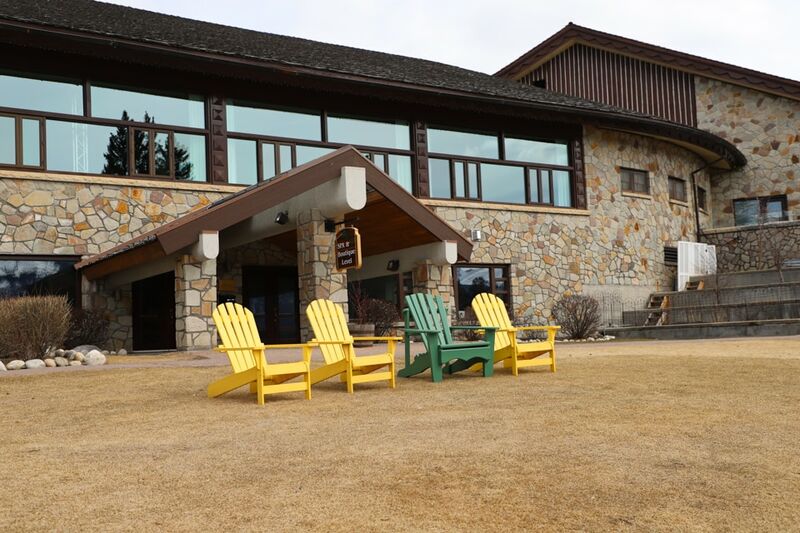 The Jasper Park Lodge has over 442 guest rooms and cabins. These accommodations provide a wonderful family vacation or couples retreat in Jasper National Park. My husband and I stayed in a Junior Suite Lakeview room. The sitting area and bedroom were separated by louver doors. You can choose from a king size bed or two double beds in the sleeping area. It was comfortable and cozy. 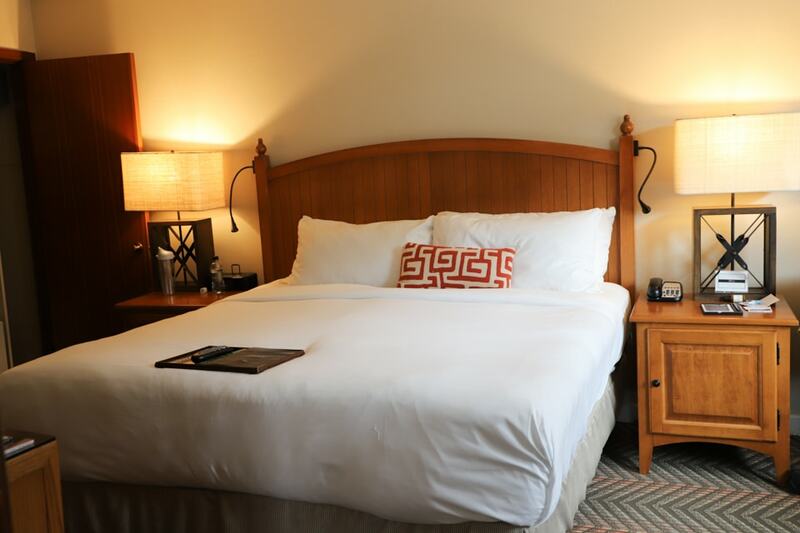 All rooms offer the soft Fairmont robes and slippers on request. Main Building Suites are located in the main lodge. They feature one king size bed, double sofa bed, two full baths, and a balcony overlooking Lac Beauvert. This suite style is perfect for couples or families. The Lakefront Suites are the most desired accommodations at the resort. All the suites offer spectacular views of Lac Beauvert and the 18th fairway of the golf course. The suites have a spacious bathroom with a soaker tub and glass shower. A pullout sofa and wood burning fireplace are all located in the parlor area of the cabin. All suites feature amenities such as cable television, ceiling fan, coffeemaker, hairdryer, ironing board, telephone with voicemail, and deadbolt doors. Rollaway bed, cribs, and connecting rooms are all available upon request. Luxury Cabins are also available for larger families or groups, featuring kitchenettes, washer and dryer, fireplaces, and more. Give the resort a call at 780-852-3301 and ask for Reservations, or simply send them an email to learn more. 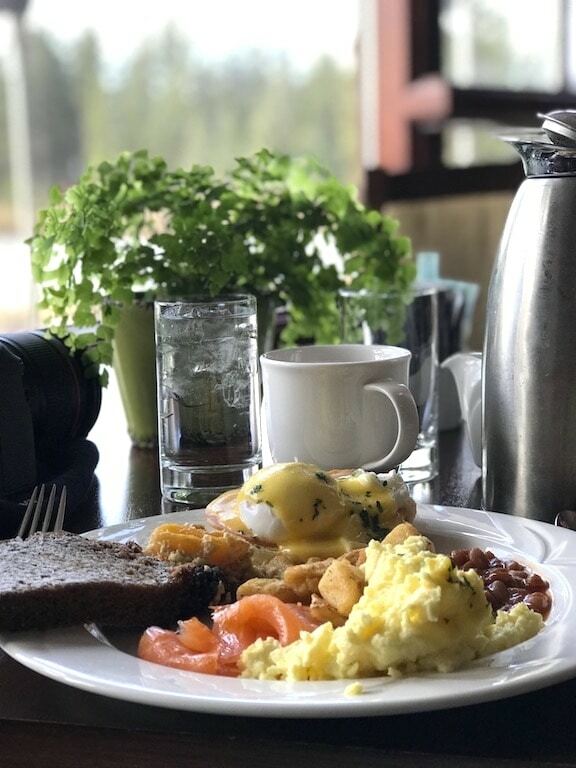 There is plenty of exceptional dining found at Jasper Park Lodge. Executive Chef, Christopher Chafe, and his team prepare dishes that showcase the flavor of the region. The Lodge features on-site restaurants and lounges including Orso Trattoria, Moose’s Nook Chophouse, Oka Sushi, The Emerald Lounge, and Thompson’s Terrace. Fitzhugh’s To Go is a perfect spot to grab some sandwiches or salads for the day. 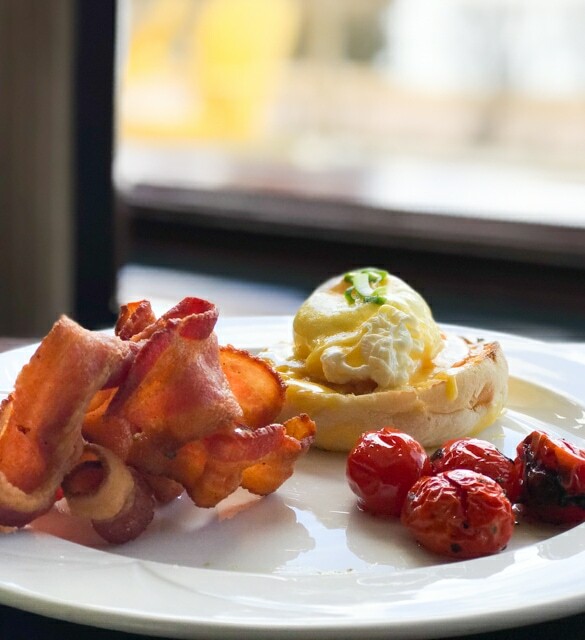 Breakfast is served at Orso beginning at 6 am for those early risers who plan to get out and explore the area. 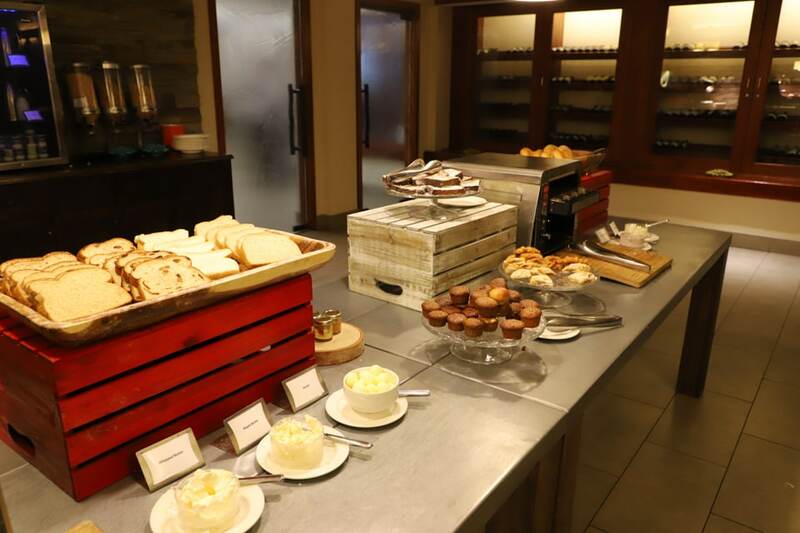 The buffet was fabulous, featuring eggs, smoked bacon and sausage, pastries, oatmeal, and a variety of fruits and juices. A breakfast menu is also available, but with dishes like this to choose from, we went with the buffet. Claim a seat by the window. The views are spectacular. Now that we’re empty nesters, we really enjoy sitting at the bar for dinner. We don’t have to worry about a reservation, and we can usually get a couple of seats when we’re ready. The bartenders at the Fairmont Jasper Park Lodge get pretty creative with the cocktail menu. We tried the Belvedere Spritz, which is Belvedere Vodka, Lillet Blanc, tonic and soda water, garnished with a grapefruit slice and fresh rosemary. For someone who loves photographing food, how could I resist getting a shot of it for Instagram? Are you following me there? Another one of our favorites was the Stroke of Midnight; Prickly Pear Vodka combined with Aperol and lemon juice, topped with ginger beer. Another Instagram win! 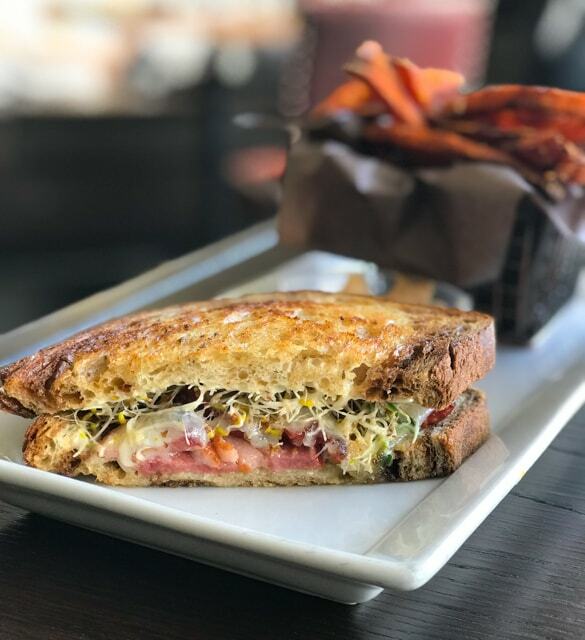 The menu for food is just as creative, with choices like the Bison Burger with goat cheese aioli, bacon, and arugula on a brioche bun or the Brie and Swiss Grilled Cheese with cranberry jam and arugula on sourdough. We settled on the Smoked Duck Club with caramelized apple aioli, alfalfa sprouts, pickles and provolone on marble rye. Who thinks these things up? Good news – I have the recipe and will be sharing it soon! In-Room Dining is another option for guests. The staff wants to make a memorable dining experience for all their visitors. The room service menu includes breakfast favorites to gourmet dinners. Special meals can be prepared upon request. 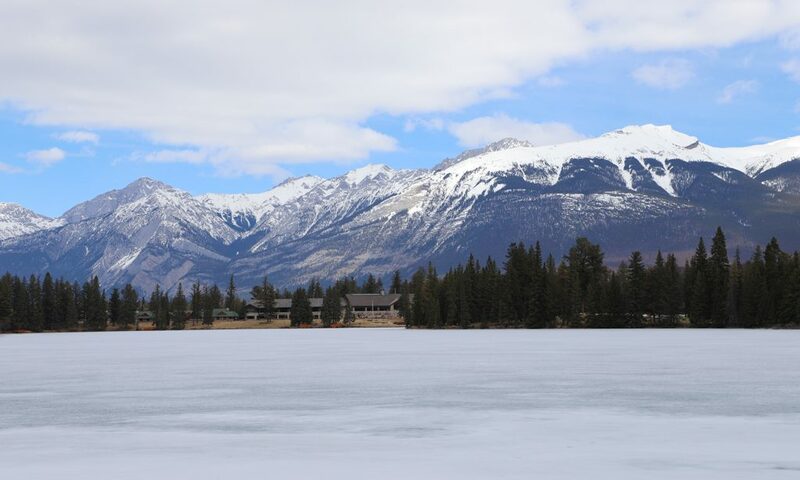 The Fairmont Jasper Park Lodge is a year-round vacation spot. Lac Beauvert offers guests many opportunities to have fun on the water. 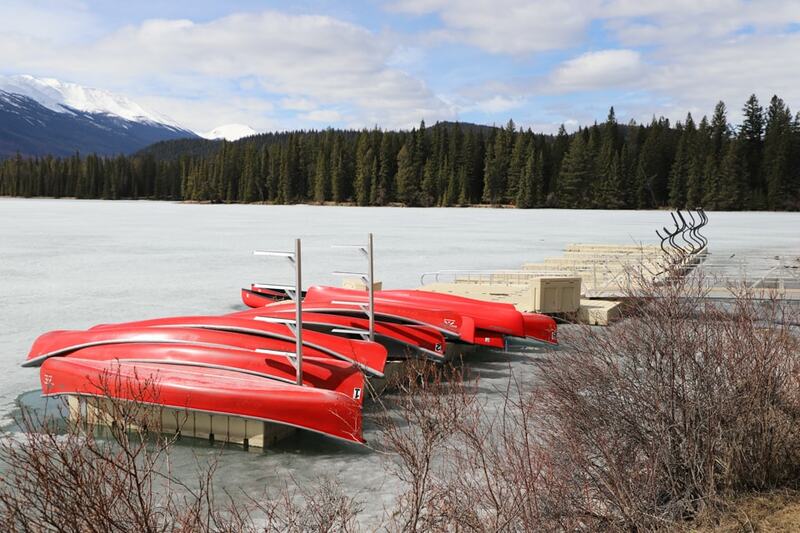 In the summer, there are plenty of boats, canoes, bikes, and kayaks available for rent. 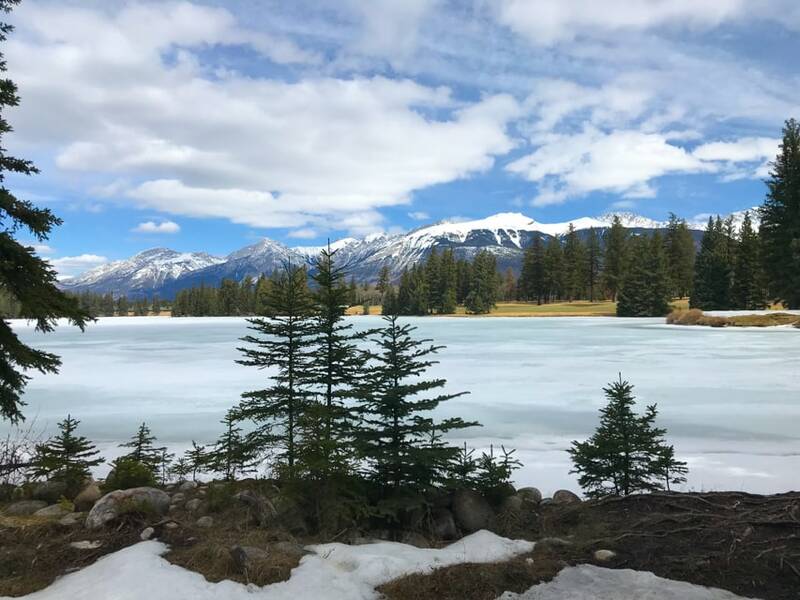 Check with the Concierge as the Lodge offers a plethora of seasonal activities, like wildlife discovery tours and the Jasper Dark Skies Experience. Guests enjoy a round of golf or a horseback ride up the mountain. Winter brings even more fun as visitors enjoy hitting the slopes in the Jasper National Park area. 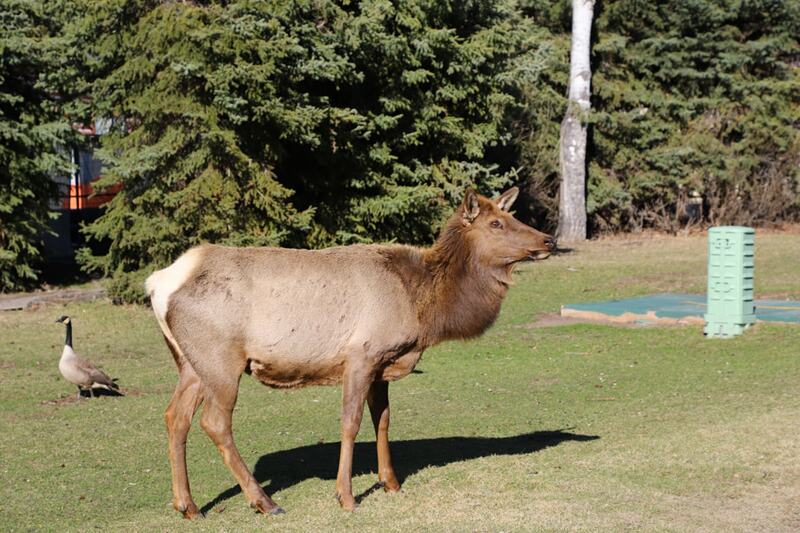 I mentioned that I heard you could see elk at the Lodge, but I hadn’t seen any yet. The next thing I knew, one of the concierge staff let us know there was a herd feeding on the property and whisked us off in a golf cart to see them. That’s going above and beyond! 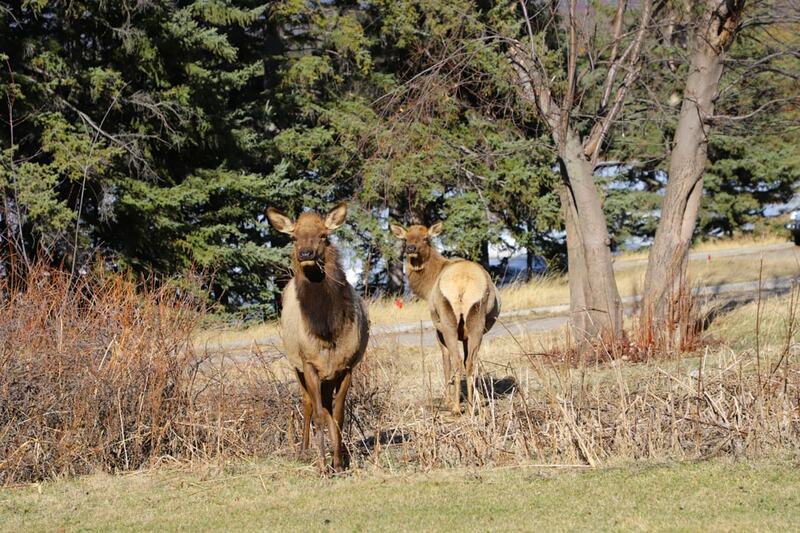 I suppose if you see elk all the time where you live, this is not a big deal. 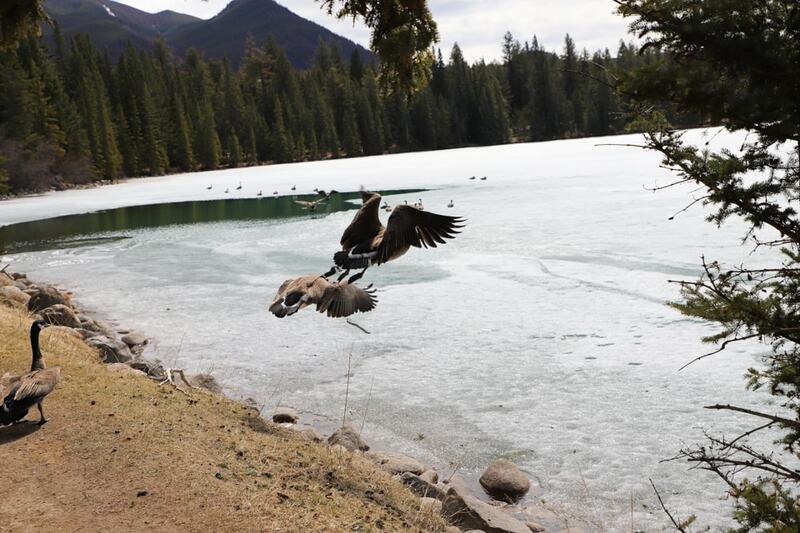 This nature lover couldn’t stop snapping photos! Of course, depending on the time of year you’re visiting, you may see bear, big horn sheep, and a host of other wildlife. On our visit, we also saw deer. And, of course, those beautiful Canadian Geese. I wonder if they have a wildlife photography tour? They should! The staff at the Fairmont wants their guests to have a worry-free vacation. The Concierge Desk can assist with directions, dinner reservations, and transportation needs in the area. There is a free shuttle that runs into town, but it does end early in the winter, so be sure to check on the time. The Fairmont Jasper Park Lodge is the perfect vacation spot. With plenty of activities and amenities to go along with spectacular views, a stay at this gorgeous resort guarantees a memorable vacation, honeymoon, or just a relaxing getaway. 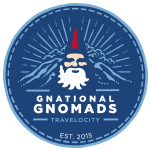 A stay at the Lodge can also be booked as part of a Rocky Mountaineer getaway. There’s really no better way to see the Canadian Rockies. Add a tour of the Icefields Parkway to your trip. It’s an amazing drive. I’d suggest Jasper to Banff, with a stay at the Moose Lodge. It’s the place to stay in Banff! Have you been to Alberta, Canada? I can’t wait to go back and I’m always looking for suggestions. Please share in the comments or email me ideas at kastilwell@gmail.com. I appreciate it! If you’re planning travel to this part of Canada, you really should try to visit Vancouver and Victoria, too. One of my favorite hotels in Vancouver is the Hotel Fairmont. It’s such a luxurious hotel and the food is incredible. If you make it to Victoria (and you really should try!) be sure to stay and have tea at the Fairmont Empress. I have plenty of suggestions for things to do in Victoria, too. Let me know if you go!